Being a minority and living amidst a majority that is largely ignorant of your beliefs, you tend to become used to living around whispers. You pretend to not hear them sometimes and sometimes you speak up. But they haunt your consciousness, always. The questioner assumes an embarrassing demeanour and brushes off whatever has been said if someone from the Shia community is present. In their efforts to not be offensive, they end up doing a lot worse. Shias are deliberately removed from amateur discussions about their beliefs, because the majority feels more comfortable engaging in a debate that is heavily one-sided and completely devoid of notions that could uproot their ignorant understanding. They discuss amongst themselves to seek larger validation. What this does is that it reaffirms the questioner’s position in the majority and decidedly ‘otherises’ the minority community. People mark you as something different, someone who is distinctly separate from you. I grew up around these misguided conversations and I am sure every Shia in Pakistan has heard and experienced these at some point in their lives too. It is a continuous test of nerves, patience and stamina which Shias have to grapple with from the time they step into schools as children. The fact is that within educational institutions and other controlled environments, we’re so careful to not step on any toes that we end up excluding the party under discussion from the discourse altogether. Because of this, an atmosphere of unease settles in, and stereotypes and ignorance thrive. We speak of the extremism of the Taliban and their misguided radical ways, yet we fail to identify extremist elements within our own regular, every day discourse. We speak of how we wholeheartedly accept the Shia community, but when was the last time any of us protested against Shia killings? When was the last time any of us put up a Facebook status to protest against Shia killings or tweeted against anti-Shia violence? For how long will we blame the Taliban for extremism and Ziaul Haq for sectarianism? It’s been years since Zia’s death, but he continues to live on in all of us. 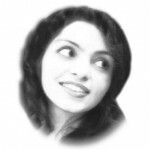 Growing up as a Shia, there were countless occasions when I heard offensive things being said about Shias and as a child I became familiar with emotions that are intricately intertwined with adulthood – anger, confusion, torture and frustration. Fortunately, I had spent all my adolescence in one school, so I grew up with the same friends who understood my beliefs. However, when I moved to college, things became a little more complicated. There was a time when I would’ve ignored that question and kept on doing whatever I was doing. That fateful day, however, I refused to be excised from a conversation about my beliefs. I turned around and said yes. And then the teacher entered so the conversation stopped there. Throughout class, I could not hear a single word my teacher said. My mind kept wondering what the girl was about to say and what she would have said had I not revealed my Shia identity. In Pakistan, religious discourse in informal settings is largely unheard of. People tend to stay away from engaging in constructive dialogue in fear of offending the other. They have no qualms about talking behind people’s backs. Conversations that are inherently ‘exclusive’ in nature breed extremist narratives and allow us to internalise those narratives, so much so that we stop questioning those problematic assertions. Today, the people in Pakistan are chastising India for its extremist policies. Not only does that irritate me, it disappoints me. Pakistanis are elbow-deep in their own sea of extremist narratives, yet the head that is above the surface is yelling about a shark that is in another ocean. I urge all Pakistanis to look within themselves, search long and hard for questions and ideas that might seem innocent enough but are dyed in colours of intolerance. Once you find questions that lead you to extremist conclusions, engage in dialogue, not just with the people of your faith, but people from all kinds of religious backgrounds. Read religious texts. Don’t strain your eyes looking for differences that would bolster your hard-line stance. Look for similarities, look for meaning. And most of all, learn to empathise. Open yourself up to the experience of others. We aren’t happy seeing smoke come out of Indians. It is worrying, because if India has extremista&terrorists in government, it is alarming for both nuclear-armed countries. Three wars, and if there’s a 4th nuclear one, both countries would be totally destroyed. What worries me is that Indian ruler’s disdain for the Indian masses(who are scorned due to the caste system, and their massive population is considered a burden and expendable), Indian rulers like Modi might opt for one more war(nuclear) anyways. It would “solve” India’s population problem(they blame the hated “lower-castes” esp. in vast numbers in rural areas) and get rid of pesky Pakistan for good. They were developing “safe” bunkers and installations in the Nicobar&Andaman Islands furthest from Pakistan(in the Bay of Bengal, out of range of Pak missiles) for leadership to survive in the event of a nuclear war. Pak demonstrated the Shaheen-III missile because of this, and it’s range can reach India’s bases in the Bay of Bengal. Now India is testing “ballistic missile defence” systems in the Bay of Bengal region. Worrisome that they’re vying to protect safe-areas for leaders, and false-confidence may result in foolhardy decisions. Your anguish came through strong….but apart from that you failed to say a single word about Saudi Arabia’s injected ideology that keeps proliferating through a huge network of religious schools, their money that buys them the right to spread intolerance and our leaders weakness and greed that allows this to happen. 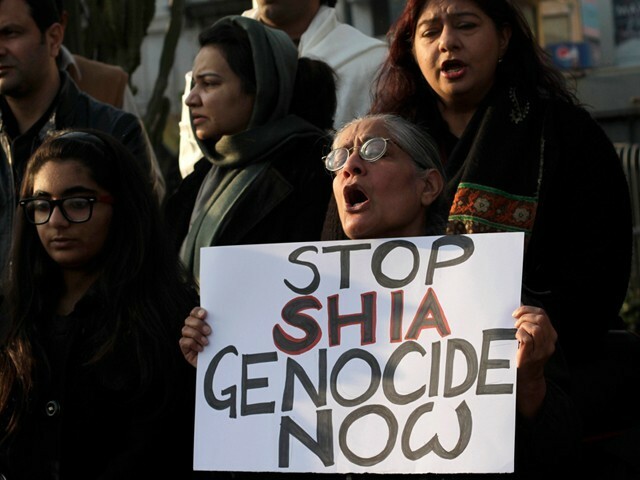 There is ongoing Shia genocide in Pakland. Home of the Pure. proxies. Like Jundullah in Balochistan. ASWJ in Karachi. Le Jhangvi in Punjab and Northern areas. So yes, there is genocide. It is YOU who is an apologist, for these extremists/terrorists perpetuating this mass sectarian cleansing. With lame excuses. up in Shikarpur. 37 Shias blown up in Qissa Khawani Bazaar, Peshawar. They were eating in a restaurant, next to an Imambargah. 24 Shias pulled off a bus and shot dead in Chilas, northern Pakland. 45 Ismaili Shias shot dead in a bus in Safoora Goth, Karachi. So there is no genocide? The author is not seeking sensationalism. These are cold brutal facts. Religious extremist militants have claimed thousands of lives in sectarian violence, particularly of the Pakistani Shia minority, in Pakistan since the 80’s, and got really bad in the last decade, such as with the Hazaras. It’s hardly ‘confined’ for the overall minority community, and sadly not a surprising viewpoint held by some disassociated Pakistani majority Sunnis, despite some recent experiences with terrorism there’s denial, deflection and delusion about it, like on admitting who the culprits are. Just a point on refugee claims, which don’t get turned down. There are a lot of settled Shia asylum seekers from the 90’s in North America I know of. If you Google Shia asylum seekers, you get a lot of links to such, including from 2000 to 2015. Hazaras today make up a chunk of Shia Pakistani asylum seekers, though there are other ethnic Pakistani Shias. Accepting refugees globally has become tougher like Australia, but overall have been accepted. I did check. All it takes is a Google search and reading the links. Of course the asylum seeker has to point out the level of threat from the extremists and there are still Shia asylum seekers who’ve successfully settled in the 2000’s and Western governments are indeed considering them like in Canada. Like I said, I know some from the 90’s (I know of bogus claims too, but not all of them) and know of current trends in Pak where the sectarian violence got bad recently that many had to flee. Don’t know what immigration agents you’re working with, the reports and statistics are all there if you look it up.